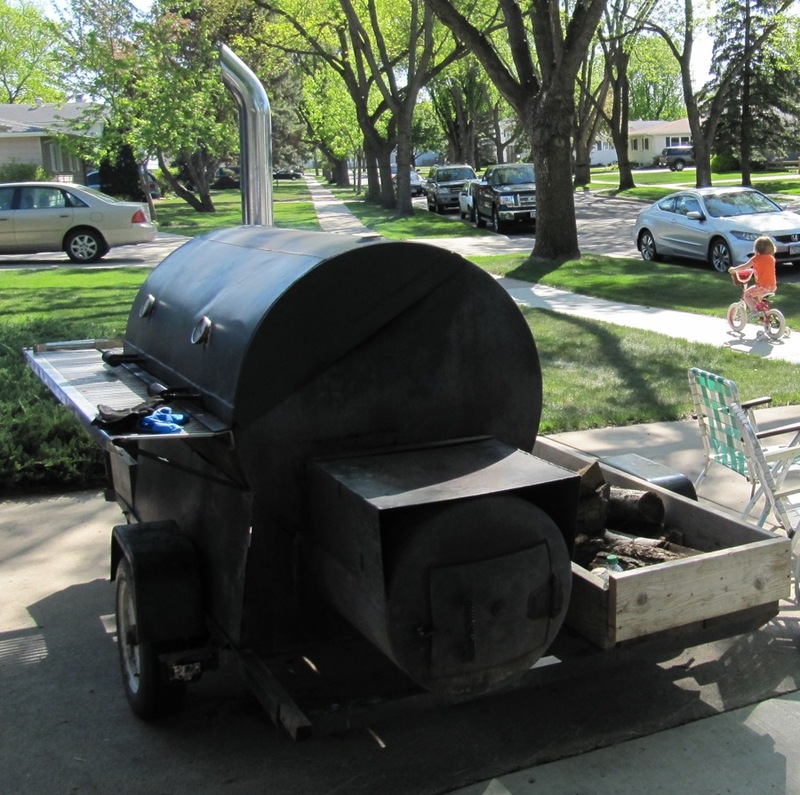 A smoker fixed to a trailer. Yes, a mobile smoker. The short clip below is what happens when some genius gives traction to the thought of combining a smoker with a trailer: instead of requiring folks to go to the smoke house, the smoke house is brought to the folks. Both simple and brilliant. If you carry this out in your front yard you invariably will attract neighbors. Note: in the case that you do not like your neighbors, do not smoke a pig in your front driveway. This entry was posted on Sunday, May 13th, 2012 at 12:48 pm	and posted in Uncategorized. You can follow any responses to this entry through the RSS 2.0 feed.